Check out version 3.1, out now. Just do it xD You don't have to ask to change code that's sitting on your own computer. As long as you aren't redistributing it, there's nothing wrong with doing it. Not a problem if you don't redistribute publicly. Version 3.1 is out with a config! Great looking mod! But I play on 1.10.2 and the respective version of this mod doesn't include the wolf remodel. The wolf remodel is really the only reason why I want to download this mod. Is there any way you can convert the wolf model to this mod's 1.10.2 version? Or can you tell me how I can do it myself? I'm tech-savvy enough to try to move some things around between the two version's files, but the 1.12.2 file doesn't have an "entity" folder within its "com" folder. Made some fixes and ported 3.0 to 1.10. Should go up in an hour or so. Only difference is the primalcore bears which didn't exist in 1.10. Porting mods to older versions isn't really a matter of changing some config version files, as forge and minecraft make changes to their API over time which can cause errors on older or newer versions. It's why porting mods can be irritating. Luckily, this took me about 15m to dig out all the bugs. Is dr zharks mo creatures compatibility coming? No? I know it adds some bears and wolves, but I don't plan on compat with it. 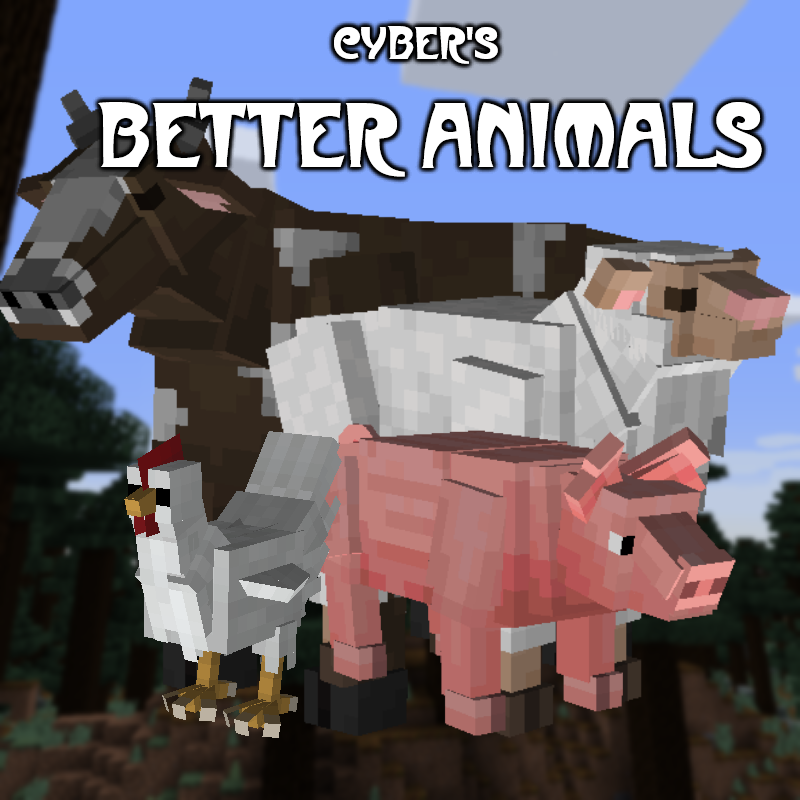 BA is mostly to update mobs that use the vanilla animal models. The config is definitely possible. Compat with wolf armor has been suggested but not sure if it is possible. Version 3.1 is out with this feature. when running better animal models in conjunction with journey map the animal icons no longer appear on the map is there anything that can fix that? It's a Journymap issue, I've submitted it but haven't gotten anything back yet.